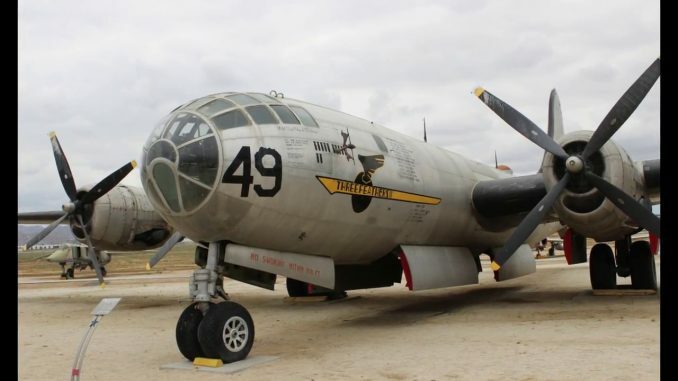 Original photos taken of surviving and two flying B-29 Superfortress bombers at locations across the United States. 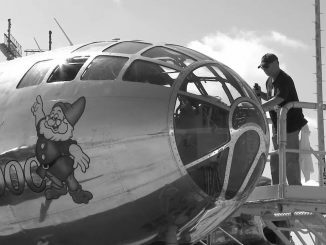 Aircraft include the Enola Gay, Bockscar, FiFi, ‘Doc’, Sentimental Journey, Raz’n Hell, Hagerty’s Hag, Peachy, Three Feathers, Legal Eagle II, Jack’s Hack, and others. From Planes of the Past.